While private aviation has always been a technology leader, new trends are accelerating its transformation. Leonardo da Vinci’s ground-breaking ‘flying machine’, or ornithopter, was inspired by airborne creatures, mimicking their wings and making use of human hand- and foot-power to flap the wings and take the pilot skywards. There was one problem: no human could ever generate enough power to get it off the ground. Fast forward almost 500 years and private aviation is poised to soar ever higher and further, precisely thanks to human ‘power’ and the disruptive technology enabling and channeling it. Our guests expect the best of the best and new technologies have allowed us to respond quicker to their needs. “There is a clear perception and utilisation shift in private aviation from the old-school user, which would put their and their family’s ownership [of the aircraft] first, through to today’s user who gets what they need, when they need it, via a click. Our guests expect the best of the best and new technologies have allowed us to respond quicker to their needs and wants and cater to the most demanding of requests,” says Dmitry Starchevskiy, CEO of Altafinch UK PLC, which provides private air transportation services. Starchevskiy points out that technology creates not only opportunities, but challenges in how to shift a business that has long prized privacy, discretion and an under-the-radar approach, to one that is sufficiently transparent and accessible to ensure its sustainability and efficiency over the long run. Dolfin Diary alerted readers back in July to the economic impact of the trend towards minimalism and how it may redirect consumer spending toward experiences, travel and tourism and the sharing economy. 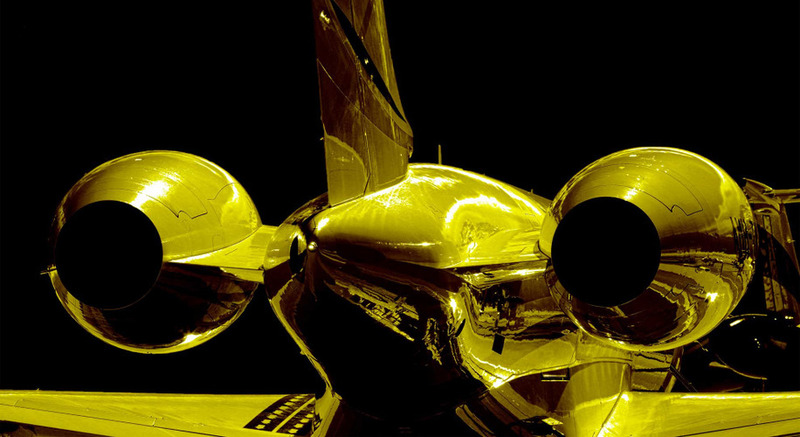 According to private aviation industry insiders, their sector is perfectly positioned at the nexus of all three. “Democratisation will ensure the growth and accessibility of business aviation,” explains Robert Baltus, COO of the industry’s European representative body, the European Business Aviation Association. On the manufacturing front, “We’re seeing the emergence of new players who are exploring aircraft electrification, autonomous flying, and Vertical Take Off and Landing, that could make it easier to connect people in urban areas,” he says. Baltus points to over a decade of growth in the accessibility of private aviation on the service delivery front, including fractional aircraft (those with multiple owners), jet cards, flight networks, digital booking platforms/apps, and ride-sharing services. “Now, you can book a single seat on board a business jet or charter a crowdsourced flight if you aren’t able to afford an entire flight to yourself. It’s likely that new and disruptive models and technologies will exist side by side with proven and more traditional approaches,” he adds. Technology is an enabler, not a business model in its own right. Moves to make private aviation more accessible and transparent are welcomed by industry observers. “The business aviation fleet has always had very poor utilisation and an online market place is bound to replicate disruption seen in other industries, matching real-time supply and demand,” says Richard Koe, managing director at WingX Advance, which provides technology-based market intelligence to the global business aviation industry. Much like da Vinci’s single-pilot flying machine, the question of single-owner private aircraft is never far from most people’s minds. If you could do it, should you? To many customers, ‘owning’ defines their success. Like so many sectors before it, private aviation is being transformed by some smart-thinkers applying technology and innovation.